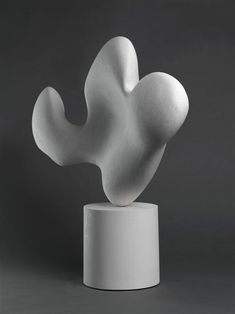 Jean Arp or Hans Arp was a German-French sculptor, painter, poet, and abstract artist in other media such as torn and pasted paper. Below are examples of his work. What do you think? How is it similar to your free form clay work? These pieces are very interesting in the shape that they form. They are like ours because of how they are not just straight up but in varying shape. Mrs. Butler did not say this. the movement in his pieces are similar to our free form pots we are making. All of ours are very unique and no two look alike just like his pieces of work. it looks really cool. it has the same free form like we are doing because they all just flow freely in and out and take different shapes and sizes. They look really cool. They just go with the flow and have a mind of their own, just like our free form pots. They are interesting. They are similar to our free form clay work because they flow freely and there are no other works that are same shape. They are similar because they kinda look like free formed pots like what we are doing with ours. 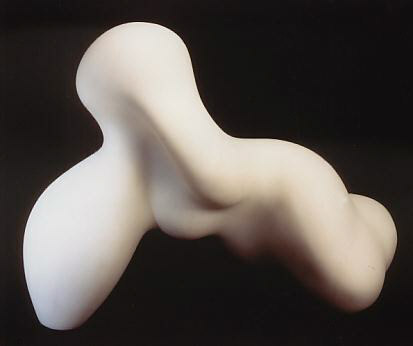 I think Arp's sculptures are very unique and different. I love how smooth they are. They are similar to the free form because they all take their own shape. There's no real pattern to them. i think these are kind of dumb and pointless. it doesn't look like he really put too much effort into them either. these are similar to our free form stuff because they are both made with clay. I like how they look smooth... they are cool but look really easy to make.